The reputation of Mannheim as a centre of musical excellence in the mid-eighteenth century is well documented. "The musical Athens of the German-speaking world", in the words of Schubart, it boasted a court "whose rays", according to Leopold Mozart, "illumine the whole of Germany, nay even the whole of Europe, like those of the sun". Mozart went on to describe the Electors orchestra as "undeniably the best in Europe", and to Charles Burney it comprised "more solo players and good composers than any other orchestra in Europe." Under the direction of Johann Stamitz, this "army of generals, equally fit to plan a battle as to fight it", was responsible for a number of developments in orchestral writing, but the orchestra is remembered in particular for establishing the crescendos and diminuendos which, during the remainder of the century, were to become an integral part of symphonic music. Among Stamitzs "army of generals" was Innocenz Danzi, a cellist who joined the orchestra in 1754 and subsequently married the daughter of the composer Carlo Giuseppe Toeschi. The eldest of their three children, Franz, was born on 15th May 1763 and sang in the Electors chapel choir as a boy, joining his father in the cello section of the orchestra in 1778. When the court moved to Munich later in the year, however, he stayed behind to play with the orchestra of the National Theatre and by the time he succeeded his father as principal cellist in the Electors orchestra in 1783 his real interest lay in composition. This was confirmed in 1788 by the success of his opera, Die Mitternachtstunde", and from then on the cello was relegated to the sidelines. Danzis next appointment, to the post of Vice Kapellmeister in May 1798, proved disappointing, partly because he did not get on with the Kapellmeister and partly because the death of his wife left him unwilling to conduct works which she had sung. He therefore took the opportunity to move to Stuttgart as conductor of the Württemberg Orchestra in 1807, but quickly found that the city could not rival Munich in musical terms and started job hunting again. Nothing came of this, but during the next few years he enjoyed the friendship of Carl Maria von Weber and in 1812 moved out of the mainstream of musical activity to the post of Kapellmeister at the Baden court in Karlsruhe. This was to prove a major challenge. The 26 players in the orchestra needed a great deal of help, and despite Danzis continued attempts to improve their playing it was reported in 1817 that he still had to "stamp out the beat with his foot in an attempt to hold them together, especially at the important entries." 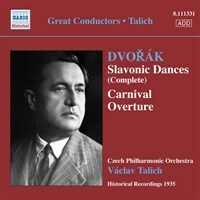 This took a toll on both his health and enthusiasm but did eventually have some effect: by the time he died on 13th April 1826 the orchestra boasted 44 members and the repertoire included works by Mozart, Cherubini, Beethoven and Weber as well as Danzi himself. He also seems to have maintained a sense of proportion about his situation, for Ludwig Spohr found him "a most amiable artist" and to Max Maria von Weber he was a "plump little man with a rounded head and sharp, clever eyes which always seemed good-humoured." Despite Danzis apparent isolation in Karlsruhe, he clearly managed to keep abreast of current trends, for the publication in 1821 of his quintets Op. 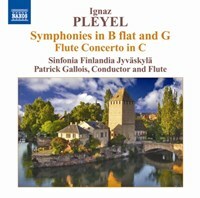 56 for flute, oboe, clarinet, horn and bassoon was a clear attempt to cash in on the public enthusiasm for Anton Reichas ground-breaking works for the same combination of instruments. 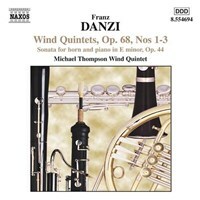 These had not been published in annual sets of six since 1817, and Danzi responded by sending his own quintets not to his usual publisher but to the Parisian Maurice Schlesinger. He also allowed his dedication to Reicha to appear in larger letters than his own name, and, encouraged by the response, composed two further sets of six works, Op. 67 and Op. 68, for the same instruments shortly afterwards. This time, however, they had no dedication and were published in 1823 or 1824 by Johann André of Offenbach, whom Danzi had occasionally used before but was most famous for his pioneering editions of Mozarts works. 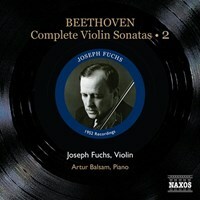 All of the quintets reveal their composers facility with attractive melodies and gently chromatic harmonies, and contrast with Reichas expansive and often virtuoso approach in their concise technically undemanding and formally conventional style. 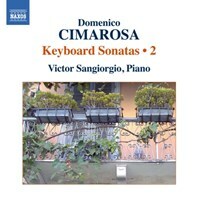 The Sonata for piano with accompaniment for obbligato horn or violoncello, Op. 44, was first advertised for sale by Breitkopf and Härtel in November 1813. This type of sales pitch was not uncommon in the late 18th and early 19th Centuries, when it was conventional to regard the piano as the "main" instrument rather than the accompanist, and to offer a choice of "accompanying" instruments to boost sales. Both, however, are particularly apposite in the case of Danzis sonata. The frequent flurries of notes in the piano part contrast strongly with the lyrical horn line and he felt that it was essential to broaden the potential market by offering an alternative part for cello. That Danzis Op. 44, like his earlier sonata, Op. 28 in E flat, was written for horn is clear, however, from the style of the writing: minor keys are a little awkward for players of the natural, valveless horn which was in use at the time, and Danzi overcomes the difficulties in this first ever minor-key sonata for the instrument by writing both the beautiful slow movement and the finale in E major. The new sonata was reviewed in the Allgemeine Musikalische Zeitung, Breitkopfs house magazine in January 1814. In general, Danzis music was now less popular than it had been, but the writer spoke in positive terms of its "good ideas" and "beautiful effects" and said that the "result is particularly worthwhile" for a player with a "beautiful tone" and the ability to "sing on his instrument." The suggestion that the piano part is "easy" suggests that AMZs reviewers were not always immune from the bias towards Breitkopfs own publications, but it is not difficult to see why the writer found the variation-form finale "exquisite". 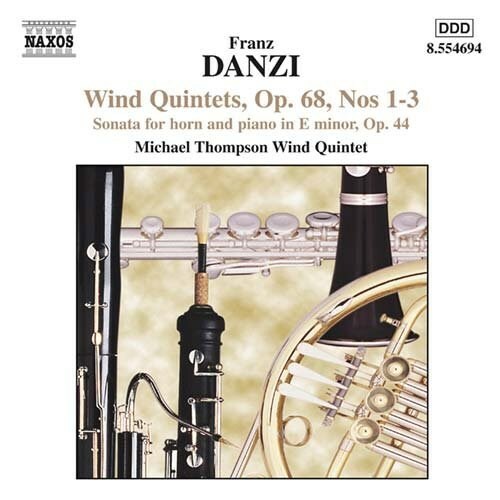 If you like DANZI: Wind Quintets Op. 68, Nos. 1-3 / Horn Sonata, Op. 44, please tell your friends! You can easily share this page directly on Facebook, Twitter and via e-mail below.